Feb 19 By Jen 25 Comments This post may contain affiliate links. 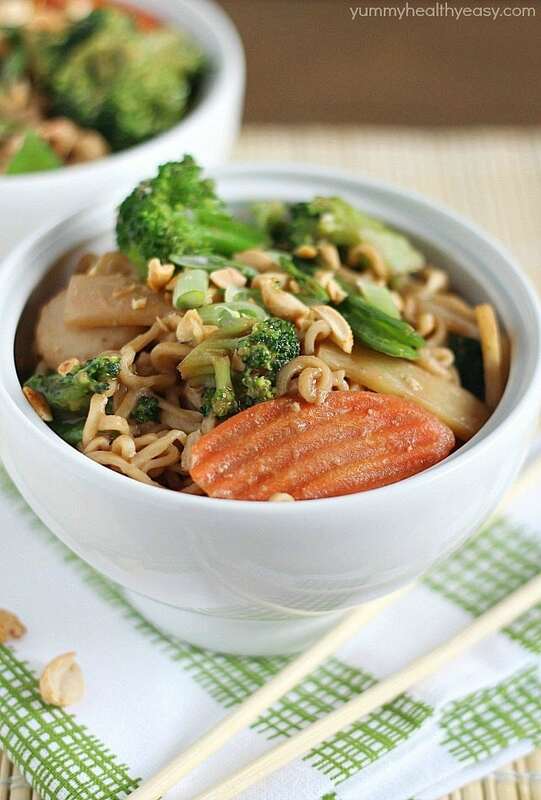 A new spin on ramen noodles – Chicken Thai Noodle Bowls! 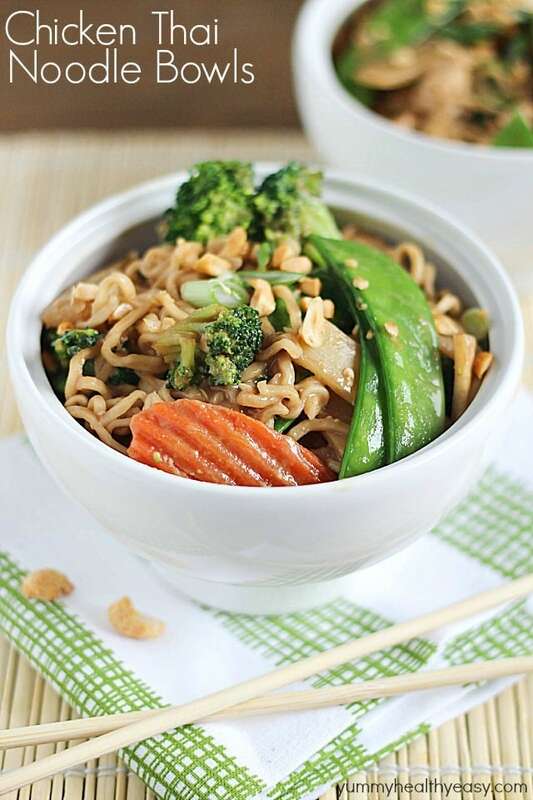 Ramen noodles and stir-fry veggies tossed in a quick & easy peanut sauce and topped with chopped peanuts and green onions. Bye bye boring ramen, hello easy dinner! Did you ever have ramen noodle days? Meaning, the days (weeks, months, years) when you were broke as a joke and survived mainly on ramen noodles? I married my husband when we were both in college and then he went onto law school, and we had a couple of kids by then. Making it many years of us being poor students. We had our fair share of ramen noodles for dinner! I’m also a huge Thai food fan. My husband and I have been getting take-out from a tiny Thai food place down the street every Friday night for years. Every. Friday. Night. Obsessed much?! I just love the Thai flavors! 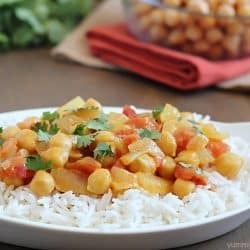 Peanut sauces are one of my favorites. 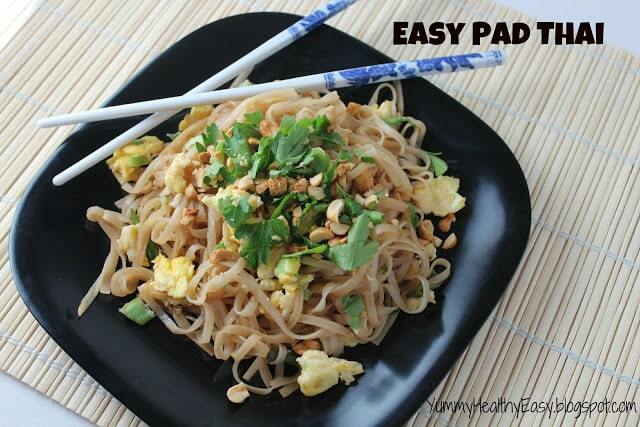 I love how quick and easy the peanut sauce is on these noodles. From start to finish, this dish probably takes 20 minutes or less to throw together. This would make a quick lunch too. The flavors are so delicious, you will love this new spin on ramen noodles! And what’s up with me being obsessed with chicken dinners in a bowl? 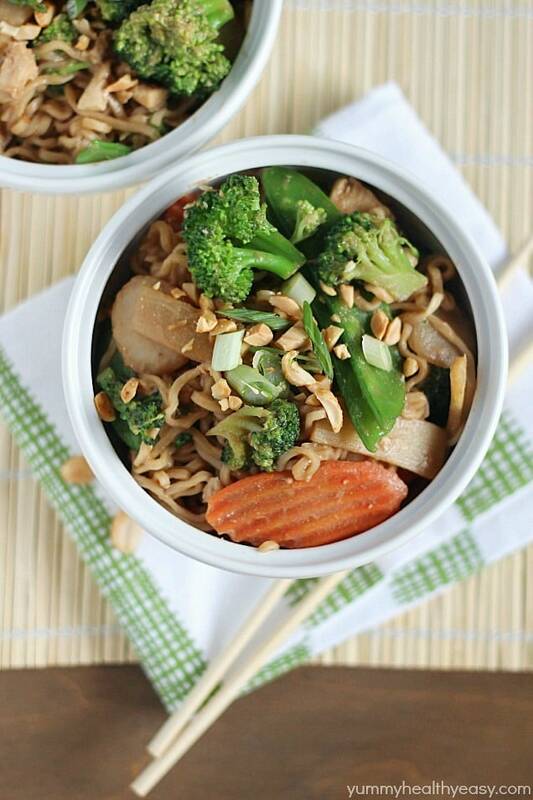 Like the recipe I shared on I Heart Nap Time in January for Baked Teriyaki Chicken Bowls….and then Crock Pot Chicken Taco Bowls…and now these Chicken Thai Noodle Bowls?! It’s crazy. But I love it! In a large saucepan, bring 2 quarts of water to a boil. Slightly break up noodles from both ramen packages (throw away one of the seasoning packets and keep one to use later) and add to water, along with vegetables. Return to boiling and reduce heat a bit. Boil gently, uncovered for 3 minutes (don't overcook!). Drain and return to saucepan. Meanwhile, make your sauce by whisking together water, peanut butter, soy sauce, brown sugar, cornstarch, crushed red pepper and 1 seasoning packet from the ramen. Whisk until smooth. Cook and stir over medium heat until thickened and bubbly. Cook and stir for 2 minutes more. Add chicken, water chestnuts and bamboo shoots to sauce. Heat through. Add to noodle and vegetable mixture in saucepan. Toss to combine. Place in bowls and top with chopped peanuts and sliced green onions. Serve immediately and enjoy! Thank you, Jen. Wonderful recipes. 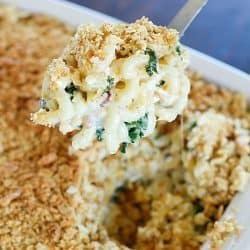 Beautiful photos and great recipe Jen! That’s such a fun Friday night tradition with your hubby! 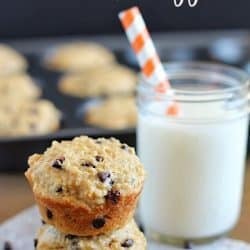 What a creative recipe!! I love your pictures. I’m still a student so we are in that broke stage and once in a while my husband brings out the ramen noodles. 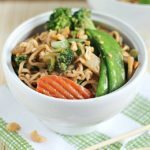 He will love this recipe especially that we had our first date at a Thai restaurant! Keep the Thai food coming! I love it! I do remember those Ramen noodle days! There is just something about them, they are quite good! 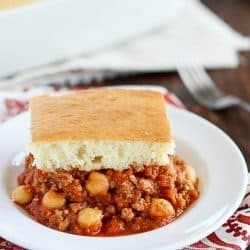 Perfect and so quick and easy. We used to do a lot of noodle dishes when my kids were young. I’d chop up some ingredients and put some sauces out and let them choose whatever they wanted. It was a hit! And I miss it and them! 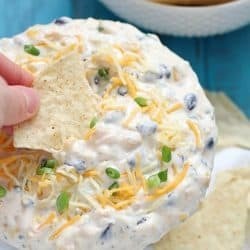 Found this on Saturday Show and Tell Link Party, and it looks so good I think I will make it for lunch. Thanks for sharing! Pinned. This looks amazing Jen!! I love Thai food too, and I had a SERIOUS ramen addiction in high school. I wish I could blame it on being a poor college student, lol. Pinning this! I like your obsession! This looks terrific! Looks delicious! 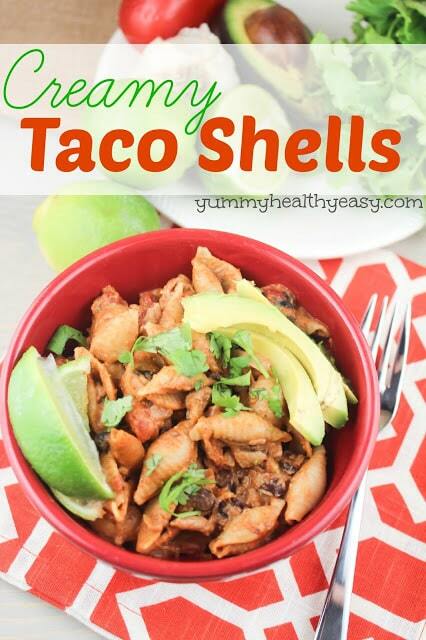 I love how easy it is – perfect for busy weeknights! High five for thai food fans! Thanks for the comment, Tina! This looks great. We have always loved Thai food but my husband is now on a highly-restricted salt diet. 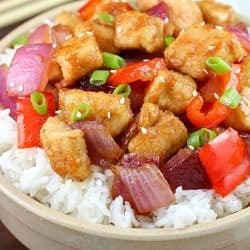 I have been experimenting with simple stir-fry, low-salt soy sauce (but very little) and other sauces and spices that are not so salty. Every once in a while, though, my sister and I go out for a big serving of pad thai!